To enjoy another day.. | La Rosilla - Lifestyle and food. Preserving fruits and vegetables, is the most glorious way to capture a moment and save the memory for another day. and a time to begin routine once more springs to mind. 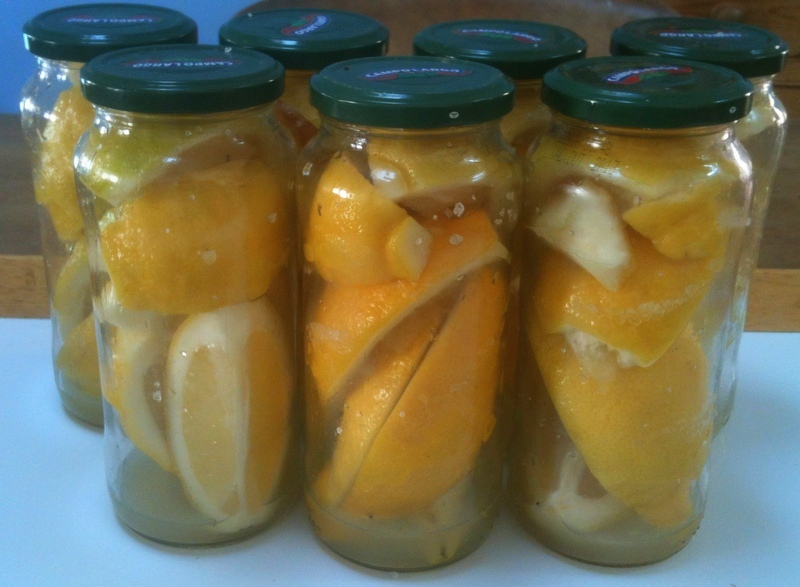 This week I have preserved a winter & springtime jewel, the Lemon, handpicked off our trees. Preserving lemons will allow me to use them in Summer dishes of Moroccan & arabesque flavour, as well as adding to a simple chicken for the most delicious roast. 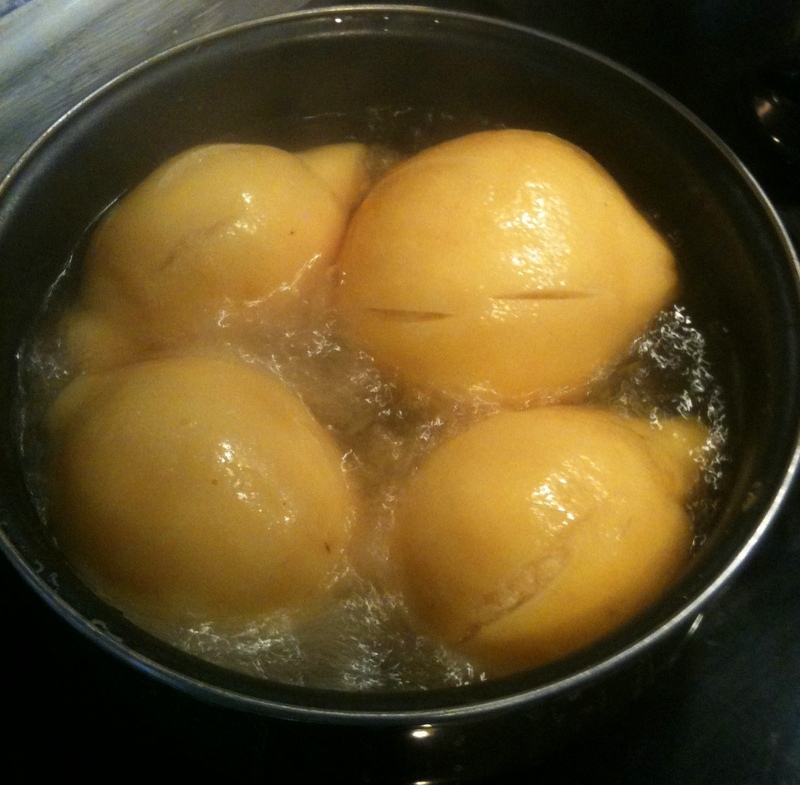 Scrub lemons and cut them into quarters but stopping before going all the way through. Stuff the lemon with a tablespoon of sea salt. Put the lemons into sterilised jam jars, stuffing them in. Allow them lemons to purge overnight, then top up the jars with squeezed lemon juice, till the top of the jar. Store until ready to use. A new method I tried this year I think will become my favourite – It was taken from the delightul book ‘Arabesque’ by Claudia Roden. 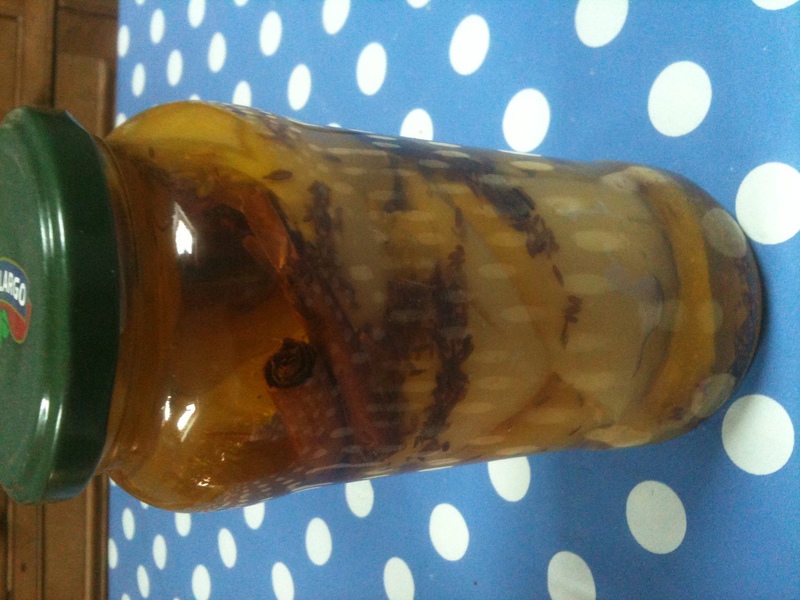 This time I boiled the lemons whole, in water & salt until softened, then put them in jars with oil – I added herbs of fennel seed & cinnamon sticks, then I can use the oil too, for roasting vegetables. Lemons in Oil & herbs.